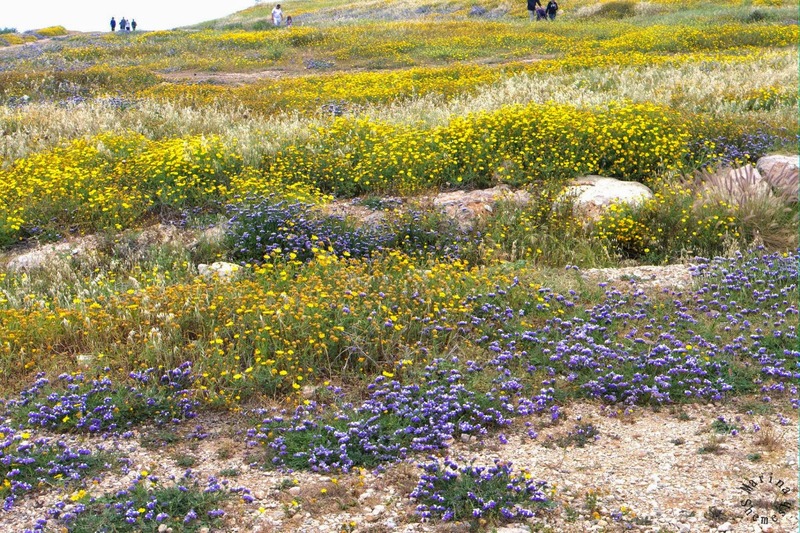 Israel may be a tiny country but you would not guess it by the amazing large range of wild flowers found here in the Holy Land. The wild flowers bloom in the short period of time between the winter rains and the heat of the summer, or the short-lived spring time. Depending on the winter rain and the weather, this can be anytime from mid- February to April. So if you want to photograph the lovely wild flowers, have your eyes open and your cameras ready. They quickly wilt and disappear in the warm winds that precede the long, hot summer months and only re-appear the next year. 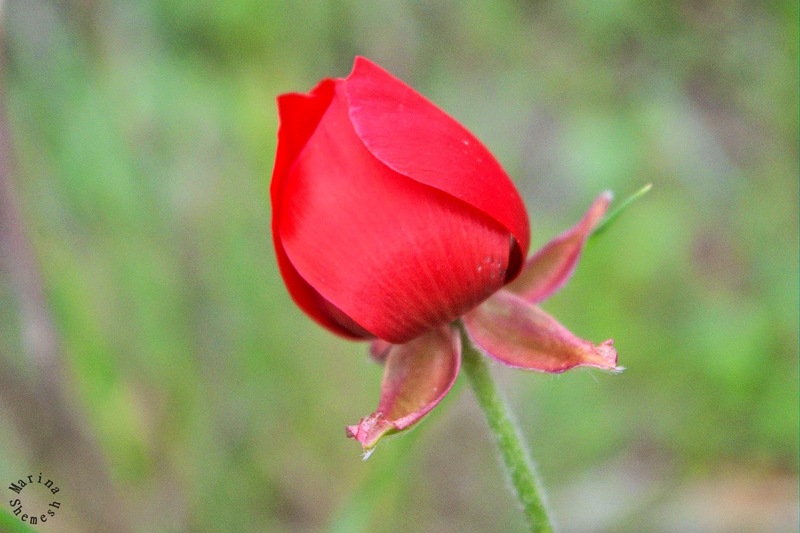 I am one of these wild flower photographer enthusiasts and have put together this list of advice for shooting the Israeli wild flowers. I hope it will be helpful! 1. People often go to parks and wild life sanctuaries to see the wild flowers, but keep your eyes open - they basically grow everywhere. I have also found wild flowers in unkept back yards, traffic circles and abandoned building sites. A lovely shade of blue in a wild iris. 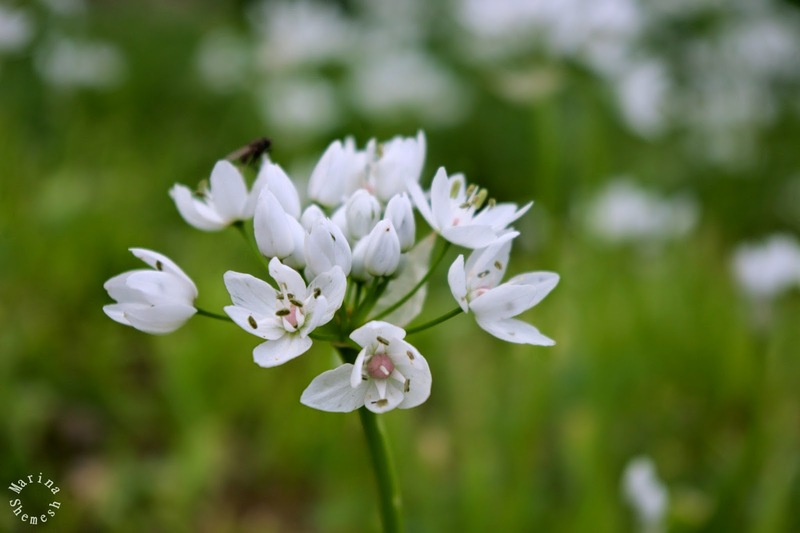 The best weather for shooting wild flowers are cloudy, overcast days that are not windy. Even the slightest breeze will make the flowers dance around on their delicate stems. Clouds will help to block the strong Israeli sun rays and also ensure that you do not cast a shadow over the flowers that you want to shoot. 2. Realize that not all of the wild flowers grow at the same time. 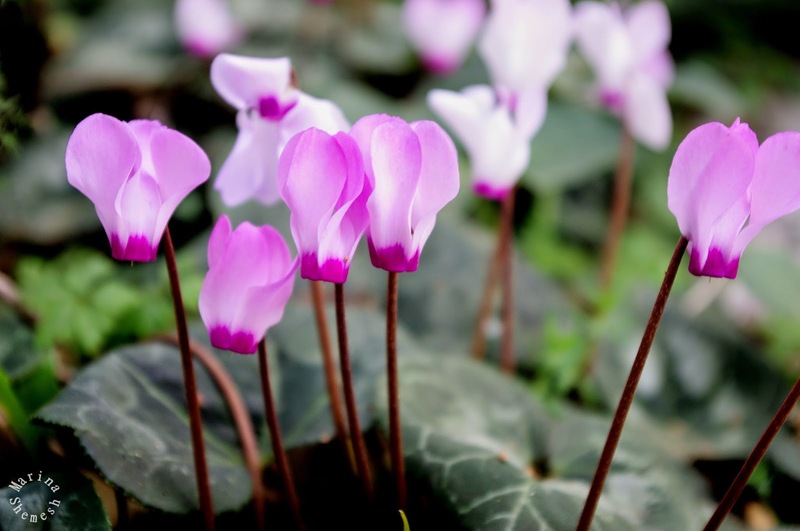 The shy cyclamens arrive when it is still winter whereas the yellow mustard flowers only grow after a few hot sunny days. And the beautiful red anemones (kalaniot) arrive more or less in between these two. I had to lay on the ground to get this shot of a young poppy. If you want to photograph all of the wild flowers at their best, you are definitely going to have to go on more than one photo trip. 3. Wear (very) comfortable clothes that can get dirty. You are going to do a lot of bending and lying on the ground and the earth can still be muddy. I definitely recommend lying on the ground to shoot different angles of the flowers. Clothes can always be washed! Just be carefully not to sit or on stretch out on any of the flowers. They are protected here in Israel :). 5. Bring a macro lens if you have one, some of the wild flowers are really tiny. 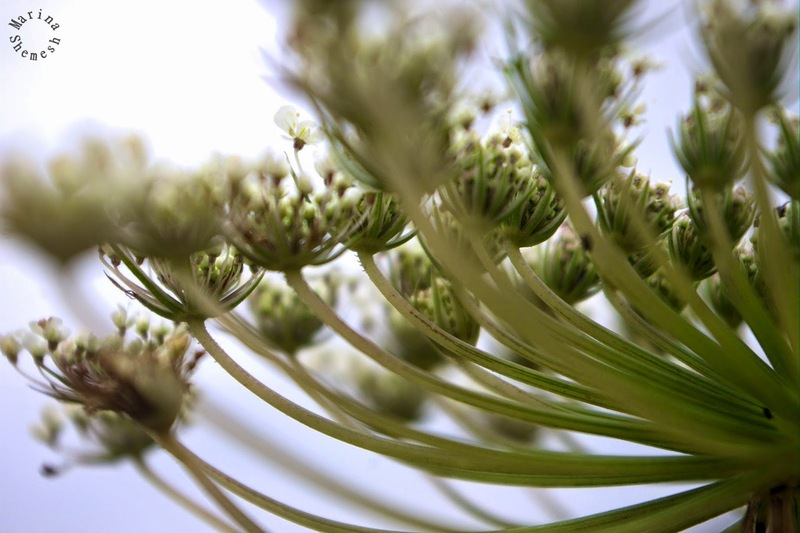 If you do not have a macro lens, experiment with your camera's manual focus. I managed to get some nice close-ups with manual focus. Just pay attention to how close you are to the flowers and/or bushes. Some of them have thorns and you do not want to scratch your camera's lens. 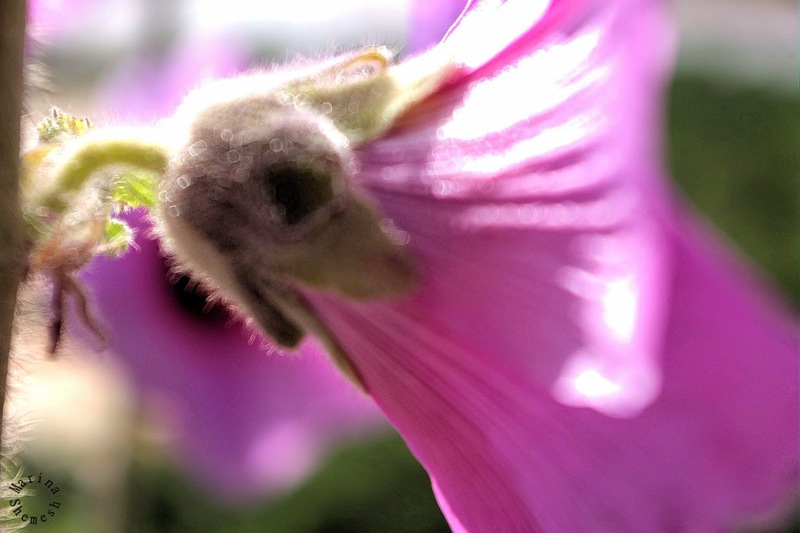 I took this photo of a Hollyhocks in the middle of a traffic circle. And yes, the motorists DID stare at me. 6. Wear insect repellent, you are definitely going to be bitten by mosquitoes. I shot MANY bugs on flowers and learned to gently shake a flower to make them fly away when I wanted a photo of just the flower. People with bee allergies should be extra careful because there are bees EVERYWHERE. 7. Spring time is also the time that snakes start to wake up from hibernating. So please take care when the days are starting to get warm and you wander of the paths in hot pursuit after another amazing wild flower. Another look at one of my favourite's. Either Queen Anne's Lace or Poison Hemlock which are very similar to each other. 8. It is a good idea to take a snack and a bottle of water with you. All the bending down to low-lying flowers and straightening up again can make you dizzy and you might have to stabilize your blood sugar a bit. And in Israel you should never leave the house without a bottle of water anyway. 9. 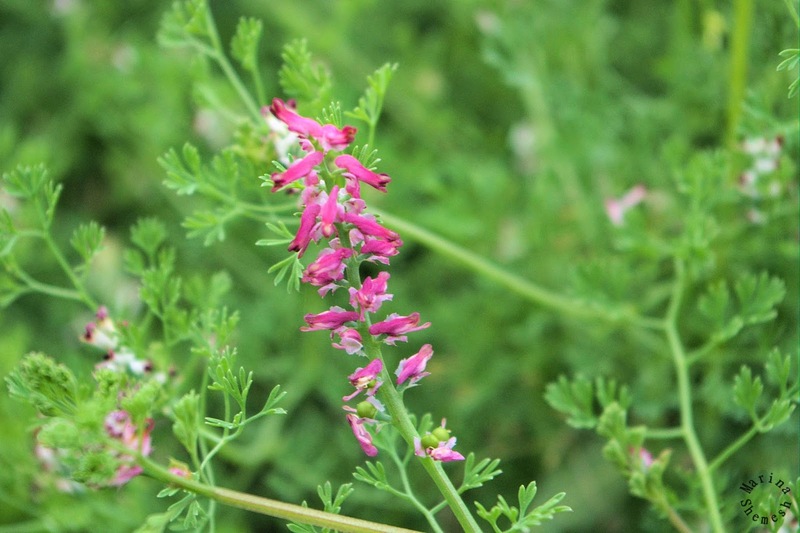 Don't fall into the trap of only trying to get close-ups or macro shots of the wild flowers. They look just as amazing from afar as they color the usual dry-grey fields into artists' palettes. One of the many insects just waiting to bite you on a Wild Garlic flower. 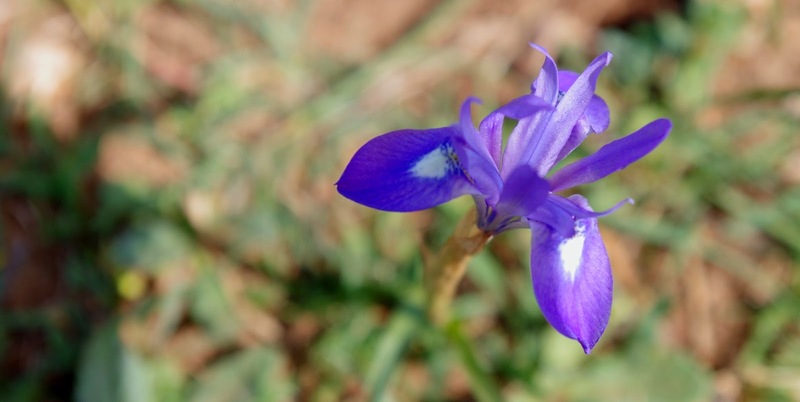 You cannot visit or live in Israel during the spring time and not photograph the wild flowers. A path next to the beach in Haifa. Still pretty, but the grasses are already dry.